Phytochemicals are phytochemical substances that are produced by plants. In Greek "Phyto" means "plant". This chemical compounds help plant to thrive or thwart pathogens, predators. They are found in vegetables, fruits, grains, and a lot of other plants. They are usually used for healthcare, for example eaten to prevent some cancers and the risk of cancer can be reduced until by 50%. Nutrition researchers estimate that more than 20,000 phytochemicals unique have been identified in plant foods, but only about 200 herbal reference materials have been studied in depth. Research are ongoing to identify which phytochemicals may offer benefits in reducing diseases and the risk of cancer. There are several main groups of health-promoting phytochemicals. 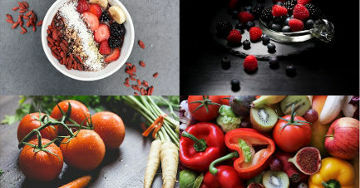 Phytochemicals have antioxidant activity, they promote good health in many ways, including interacting with the immune system and with cells that under their influence, provide optimal performance. Phytochemicals provide a healthy environment throughout the body, improving the health of intestinal microbes. Phytochemicals are also able to influence the blood flow and the expression of genes that contribute to the control of blood glucos, and insulin. That's why healthcare professionals like dietitians always recommend you to eat a balanced diet that includes a variety of plants, vegetables, fruits, legumes, and whole grains. Eating a diet high in vegetables, fruits, grains, legumes and plant-based beverages has long-term health benefits. So we advise you to eat regularly grains, fruits, vegetables, and a lot of other plant foods that have phytochemicals in them. And please favor organic foods ! It's fairly easy to include phytochemicals in your diet because these phytochemicals are present in huge quantity in fruits, vegetables, beans, and grains you usually eat. In a fruit or vegetable you can find more hundreds phytochemicals. So once again eat diets rich in organic vegetables, fruits, legumes, grains, and nuts to improve and maintain YOUR health !